I’ve had a longtime interest in making my own egg tempera paints and finally gave it a try, but I also wanted to compare experience with using my familiar acrylics. 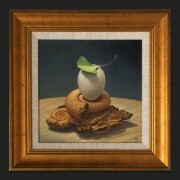 Two small paintings with similar subjects but different techniques. 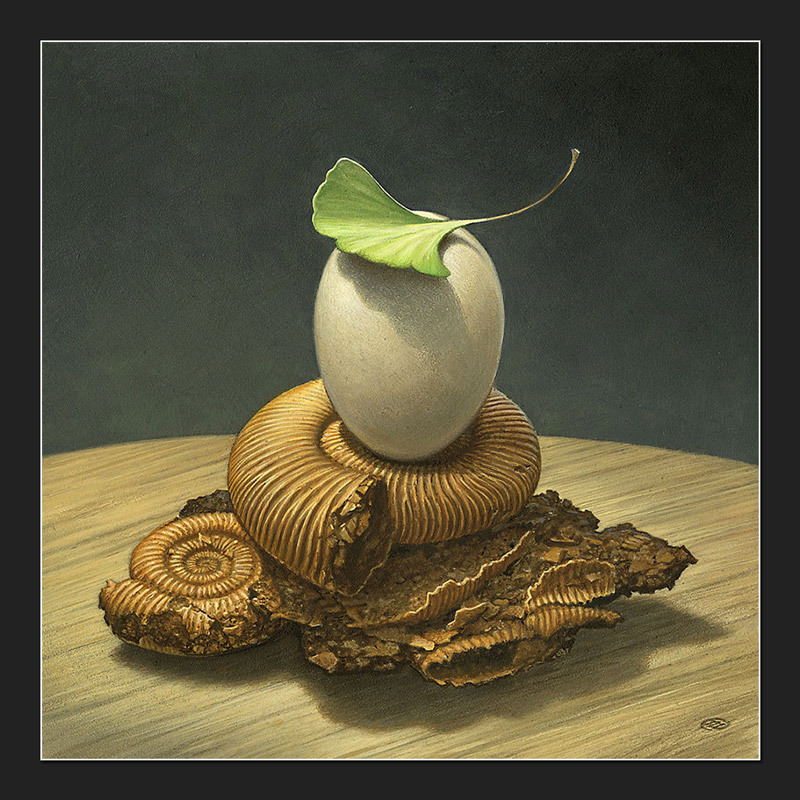 Both feature an egg poised between extinction (ammonite fossil) and survival (ginko leaf). 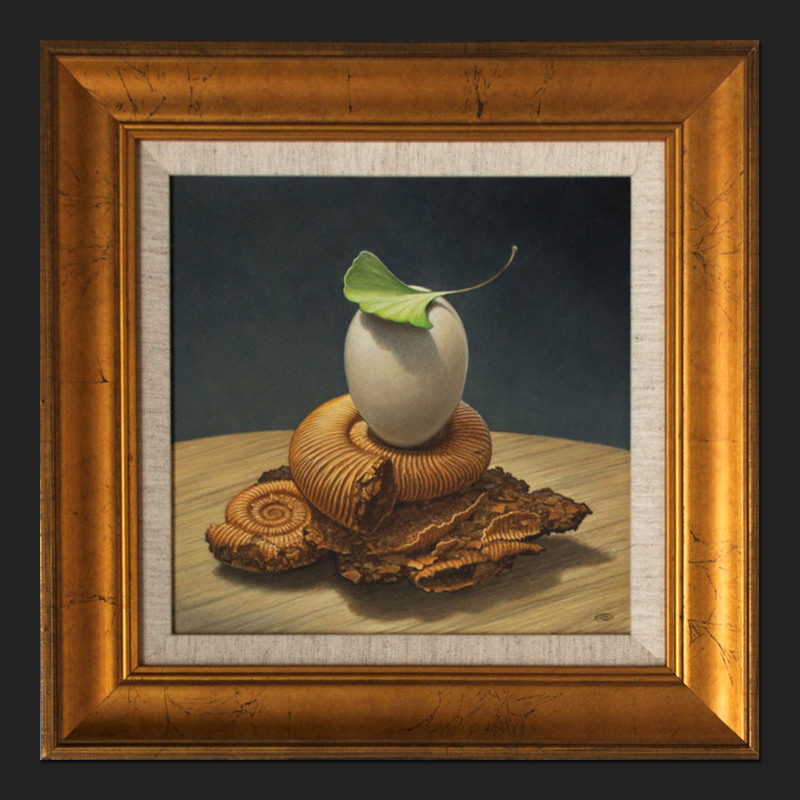 This first one is acrylics, using an egg tempera style of brushwork. SKU: OA-153. 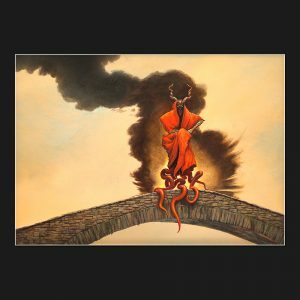 Categories: Original Art, Personal Visions. Tag: Sold.